The Youth Leaders Forum, running parallel to the 10th Clean Energy Ministerial (CEM) and 4th Mission Innovation (MI) Ministerial, is a first of its kind opportunity for young people around the world to participate in a program alongside two international Ministerial meetings that bring together Ministers and senior business leaders to advance the clean energy transition. This is an incredible opportunity for young people to engage with clean energy leaders from Canada and around the world and to connect with leading minds in the global clean energy transition. We will look to highlight stories that showcase the increased role of women in energy; the use of and development of innovative technologies; empowering local-level leadership; increasing regional energy access; innovative investment and finance; equity and inclusion in energy. Over the course of several months, participants will learn about CEM and MI initiatives and engage their communities on clean energy and innovation. Youth will educate their peers and highlight success stories that demonstrate how young people can help accelerate our energy transition. 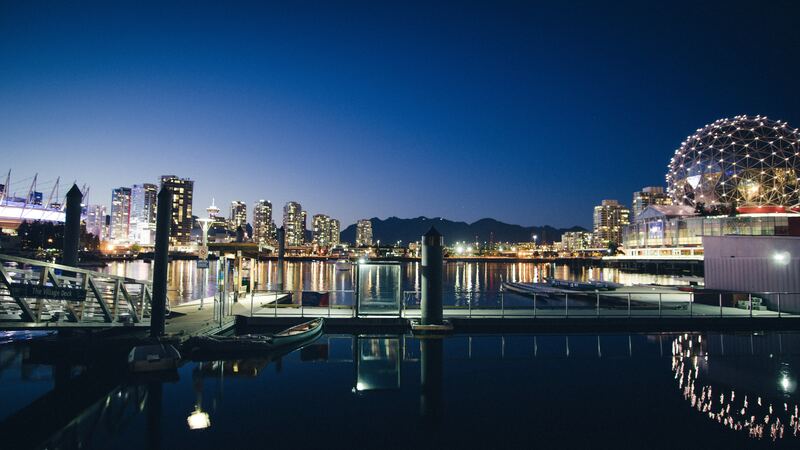 Participants will have the opportunity to attend the Youth Leaders Forum hosted by Student Energy, running parallel to the CEM10/MI-4 Ministerial in Vancouver, Canada, May 27 – 29, 2019. At the Youth Leaders Forum, youth participants will have opportunities to interact with clean energy leaders from CEM and MI countries, as well as private sector and civil society attendees. The program will offer unique learning and networking opportunities. Participants will be invited to attend some ministerial events, take part in panel discussions; participate in a Policy Hackathon to address obstacles holding back the creation and adoption of key clean energy policies and join in an Innovation Jam brainstorming session focused on solutions and opportunities for the future of energy. After the CEM10/MI-4 Ministerial, a final digital report containing youth clean energy stories will be presented at the International Student Energy Summit in London, July 2019. This event will gather over 700 delegates from more than 120 countries. The post-Ministerial report will be integrated into communications in the lead up to the International Student Energy Summit as an example of what youth from around the world can accomplish. Student Energy empowers youth to become the change agents who will shape our energy future. We work with actors in the energy system to create a space for young people to have a voice in decision-making and accelerate innovation in industry and government. By participating in the Youth Leaders Forum, youth are joining a network of over 50,000 young people across 130 countries that make up Student Energy’s movement. All participants will be supported through the Student Energy chapters program that will provide capacity building, peer support and connections to our global network. When and Where is the CEM10/MI-4 taking place? The Youth Leaders Forum will run parallel to the CEM10/MI-4 Ministerial. taking place in Vancouver, Canada on May 27-29, 2019. Can we apply as a team? The selected cohort of youth participants will consist of a diverse range of fifty participants while you may apply as a team, if selected one person would need to be nominated to represent the team and thereby only be one spot available in the program in Vancouver. The Youth Leaders Forum is available to all youth participants ages 18-30 who are engaged in the clean energy and innovation space. Engagement is defined in a variety of ways including: increasing the role of women in the energy sector; using innovative technologies; empowering local-level leadership; increasing regional energy access; entrepreneurial projects in clean energy and sustainability; creating awareness of clean energy, and other pursuits you may be working on that align with the goals of CEM and/or MI. CAN I STILL APPLY IF I AM A CITIZEN OF A COUNTRY THAT IS NOT A MEMBER OF THE CLEAN ENERGY MINisTERIAL OR MISSION INNOVATION? Applications for the Youth Leaders Forum will be accepted from participants residing in countries that are not included in the list above. In the event that applications are not filled from certain member countries, special consideration will be given to applicants from non-member countries of the Clean Energy Ministerial or Mission Innovation to attend the Youth Leaders Forum. IS THERE TRAVEL FUNDING AVAILABLE TO ATTEND THE YOUTH LEADERS FORUM IN VANCOUVER? Two of the highest quality submissions from youth will be identified to receive a travel bursary to fund their attendance and will be given special opportunities to present their clean energy stories. Student Energy will additionally award 3 full/partial bursaries based on financial need to ensure diverse representation of youth. For all participants who do no receive a bursary, Student Energy will provide resources on how they could potentially seek and/or raise funds to attend. DO I NEED TO SPEAK ENGLISH TO ATTEND THE YOUTH LEADERS FORUM? The virtual and parallel programs will be delivered in English, but we will work to make it accessible to all participants. What is the criteria for selection of successful youth applicants? We will select applicants based on their demonstrated leadership in, and enthusiasm for, clean energy and innovation. We are looking to include a wide diversity of youth participants and will be taking these factors into account and selection. Travel bursaries will be decided upon by an international panel of judges. All participants must have a valid passport. Hosting a Youth Leaders Forum in parallel to CEM10/MI-4 grew out of the collective vision between the Clean Energy Ministerial, Mission Innovation, Student Energy and the Government of Canada to give youth a voice for inter-generational engagement towards the actions taken towards a clean energy secure future. The Clean Energy Ministerial is a high-level global forum that promotes policies and programs to advance clean energy technology, to share lessons learned and best practices, and to encourage the transition to a global clean energy economy. Student Energy is a global charity working to create the next generation of energy leaders who will accelerate our transition to a sustainable energy future. For eight years, Student Energy has proven its ability to deliver programs that accelerate young people’s ability to innovate and take action on energy. From starting the world’s largest global conference on energy for students, to delivering cutting edge Energy Literacy content, to launching university-level Chapters, Student Energy is known for inspiring student action, building youth skills, and successfully shaping the future of energy. Natural Resources Canada seeks to enhance the responsible development and use of Canada’s natural resources and the competitiveness of Canada’s natural resources products. They are in charge of organizing the CEM10/MI-4 2019 Ministerial in Vancouver, Canada.